Types of vehicle operated by the company. Photographs of the current fleet. Photographs taken in 2001 and 2002. Photographs taken in 2004 and 2005. Details of the current fleet. A very brief history of the company. A look at one of Leamington's busiest routes (during term time!). Details about the fifteen Optare Solos in the fleet. Leamington Spa, Nuneaton, Rugby and Stratford-upon-Avon. 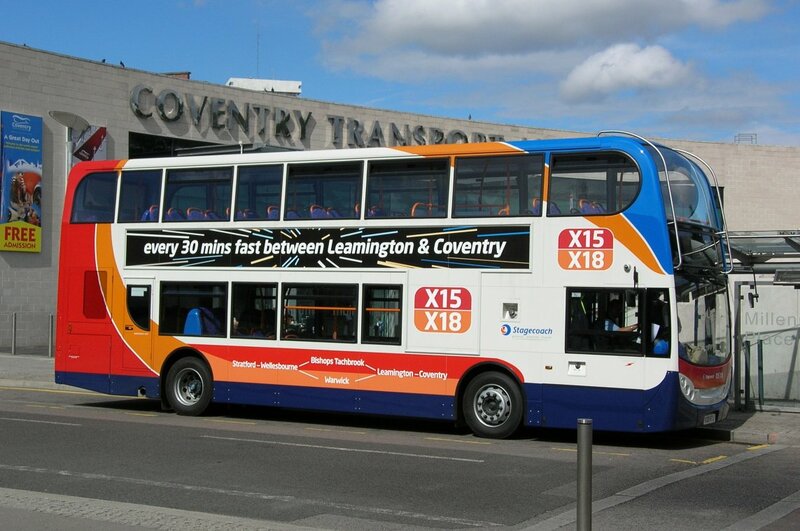 A number of interurban services are also operated into the City of Coventry. 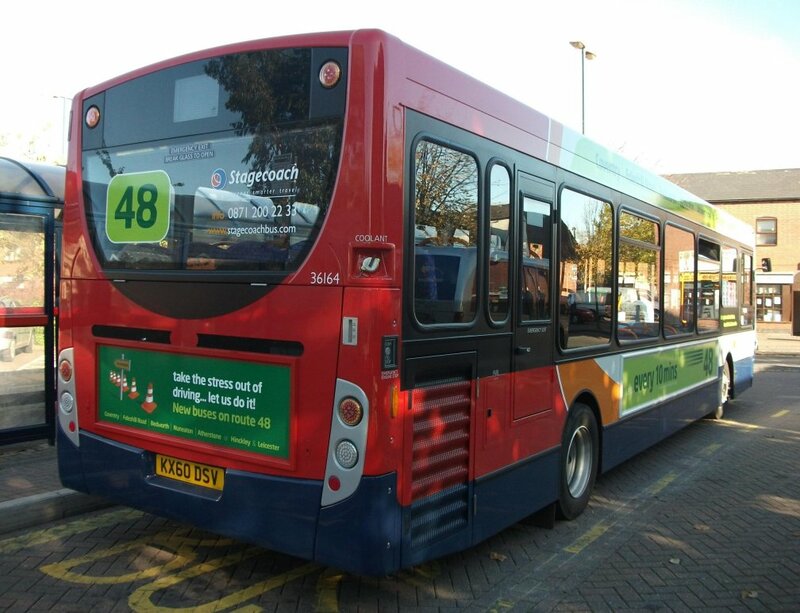 A batch of twenty-four Alexander Dennis Enviro 200s entered service at Nuneaton on route 48 from 4th October 2010. 36164 is seen in Atherstone that day. Thanks to Alistair Rigley for this photo. A batch of nine Scania ND230 / ADL Enviro 400s entered service at Stratford and Leamington in Summer 2009. 15678 is seen in Coventry branded for routes X15 and X18 on 7th September 2010. Thanks to Keith Wood for this photo.